Tracey is a native of Long Beach, California, who developed an interest in writing rhymes in 1988. Due to his outstanding writing skills, he was afforded the great opportunity to contribute to major motion picture soundtracks, including Gang Related, Gridlock, A Thin Line Between Love and Hate, Baby Boy and Rush Hour II. As a member of the group, Tha Easidaz, he opened one of the highest grossing rap tours in history, The Up In Smoke Tour. Tracey is now using his talent to craft novels that readers can relate to. B2M: Welcome Tracey to Books2Mention Magazine. Please tell our readers about your book, Streetz Gon’ Cry. TRACEY: “Streetz Gon’ Cry” details the intricacies of bangin’ and hustlin’ in the South Central Los Angeles Crenshaw District. While the main character, Carter a.k.a “Dollaz”, was pulling his bid in Pelican Bay, Cali’s most notorious and dangerous state prison, his gang, the Vernon Boys were being dominated by their occasional rivals, the King Crips. The Vernon Boys had become embroiled in disloyalty all the way to the top. Carter touched down and went straight to work putting things in order. During his machinations to place his set back to the level of respect and regard, out strategizing not only the Kings but the Mexican Mafia, the gang task force and the Feds as well, he aims to steer his little brother along a more positive path, and hopefully someday become the son his mother always envisioned he’d be. B2M: What inspired you to write this book? TRACEY: Connecting with my co-author, Anthony Barrow. He had already begun writing the story and through JDee (Cooper) of Da Lench Mob solicited me to do a chapter-by-chapter edit. By the fourth of fifth chapter, we became friends and he asked me to join in finishing the novel. B2M: What is the most fascinating thing you have learned about the art of writing? TRACEY: Well, I already knew this from reading other author’s books, but to personally create characters that readers identify with so much that they express sincere emotional reactions according to what you put them through in your story is actually fascinating to me. TRACEY: Honestly, Mr. Barrow made it fairly easy for me to follow the storyline that he’d set. He probable created the most challenges when he would hit me with something totally unforeseen, causing me to shift my imagination into overdrive in order to keep up and merge with his ingenuity. He has a natural writing ability, while I believe it takes more effort for me. One thing is certain: writing books is vastly different from writing rap songs. Not so much as the creative aspect, but the investment of time as well as the foresight required to complete a quality project. B2M: You began writing rhymes when you were very young. When did you realize that your writing skills had great potential? TRACEY: Well, when I began writing lyrics for the first time, me actually becoming a rap artist was as unlikely as me winning the lottery. The biggest West Coast artists were NWA, King T, Ice-T and Too Short. 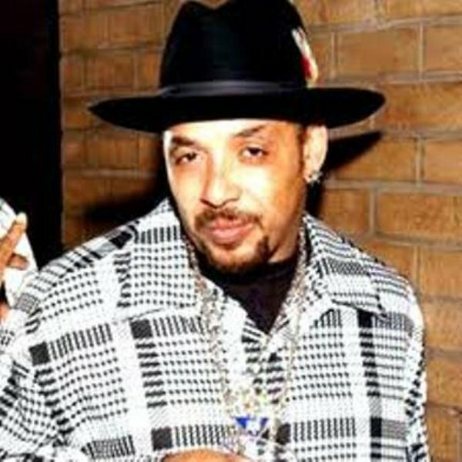 In fact, Ice-T had just put on the song, “Colors”, for the motion picture of the same name. Anyway, I grew up a Hip-Hop fan, and I started writing strictly as a hobby, hoping maybe, but not truly believing that I would ever receive an opportunity to actually record music. So, I probably realized that I was on point when Snoop invited me, and Kurupt (whom I then considered as spectacular) welcomed me to become a part of the Dogg Pound Gangsta Clique back in 1993 when they heard me spit outside of a Long Beach nightclub. B2M: What do you feel was the defining moment that catapulted your career? TRACEY: I imagine you’re referring to my rap career, as I have yet to realize success as an author. If I’m correct, then I would say agreeing to form Tha Eastsidaz with Snoop Dogg (or Snoop Lion as I hear he now prefers) and that other dude and selling platinum-plus on our debut release. Certainly. B2M: As a member of Tha Easidaz, you were the opening act for “The Up In Smoke Tour”, the highest grossing rap tour in history. How did that feel? TRACEY: Peace and immeasurable gratitude to Magic Johnson, Dr. Dre and Snoop Dogg for allowing me to participate in a star-studded event of that magnitude, but truthfully it became so disappointing to myself and the other guys as a group that we left the tour midway through to return to Cali and get back in the studio and record. Why? They had us taking the stage to perform 15 minutes after opening the venue doors. The place would still be virtually empty. And while we weren’t as large as the other acts (with the exception of TQ, I’m sure. No disrespect), we felt that we were depriving our fans of a performance. And apart from financial, there was no reward performing for a couple hundred attendees in a venue with a capacity of five to ten thousand. Nevertheless, XZibit, West Side Connection and Eminem gave stellar performances night after night, and I enjoyed getting to know most of the guys who were involved. B2M: Did you ever imagine that one day your talent would provide you with the opportunity to become a contributor to major motion picture soundtracks? TRACEY: Nah. Those opportunities were totally unanticipated. One thing I never did was become content though, so every door that I seen cracked I hurriedly stuck my foot into it. Soundtracks, movie appearances, world tours, for me to finally escape from the revolving door of prison in 1992 and experience those things was definitely a mind-blowing blessing from The Most High. No doubt. TRACEY: Whatever you choose to pursue, engage it with full commitment but know and accept the risk and consequences. B2M: Can we expect more books from you going forward? TRACEY: Mandatory. “Los Angeles Tymez”, written by Anthony Barrow, JDee Cooper and myself should be on shelves no later than October, and I’m nearly a third of the way into a novel I’m writing about gang-bangin’ in the LBC. I also have two other subjects I’d like to eventually write about, so stay tuned! Thanks, B2M, for your time and interest. B2M: Tracey, we encourage you to continue writing interesting novels with entertaining characters and plots.